Submitted by Norm Roulet on Mon, 09/11/2006 - 01:48. Susan Miller posted very exciting news about NEO today: former editor in chief of the Free Times and now columnist for the esteemed New York Times Lisa Chamberlain (props, Lisa!) published in today's New York Times a real plum of promotion for NEO, with an article titled: "Filmmakers Say Hooray for Cleveland". The subject is very smart and progressive local real estate developer David Perkowski, shown above on top of his Hyacinth lofts, which David developed to serve the unique live/work needs of local artists and film and music makers. Anyone who knows NEO knows David for transforming the historic Tower Press building from a dilapidated shell into a spectacular and bustling arts loft complex... one of the most innovative historic restorations and downtown redevelopments in Cleveland History. Well, the Hyacinth is as impressive and significant in similar and other ways. The Hyacinth is the historic transformation of an old Cleveland Municipal School District Warehouse into arts lots, and so saves a core local building. And, it is uniquely great for the film industry, being designed with many editing rooms en suite, and common areas for filmmaking and artists (and more to come in future project growth). But, most important, Hyacinth is the start of something huge in the under-valued Slavic Village neighborhood of Cleveland, surrounded by largely neglected residential property, abandoned factories, scrap yards and other industrial filth... this is not development for the faint of heart. But David sees opportunity where others fail to see anything. David took me on a tour of the Hyacinth lofts several months ago and I couldn't have been more impressed with the man or his accomplishment. What he sees in Cleveland is a thriving arts community that needs affordable accommodations. And in the Hyacinth he saw a huge property he could afford to acquire and develop to lease at below market rates, near E. 55th, 490, and 90, central to both downtown and the heights, and surrounded by great green spaces and other opportune property that may again become a great neighborhood... and he is making that happen... and he even drives a Prius! 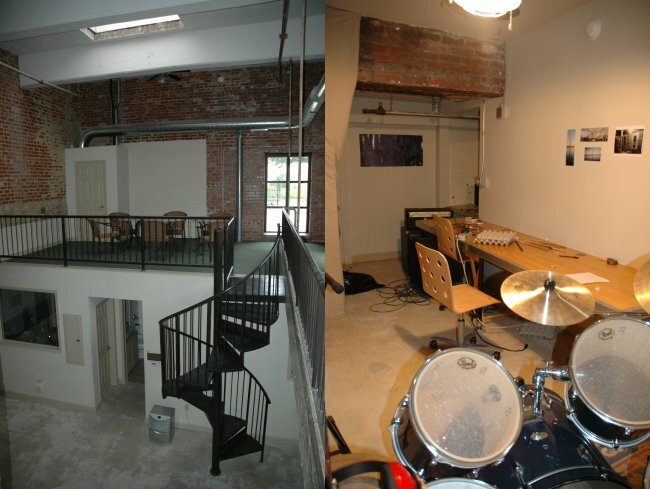 Besides creating in the Hyacinth great space for filmmakers and artists, he left one two-story loft with an editing suite available for common use, and the three bay garage area open for other creative applications, like plays and art shows. He created numerous common patios on the property, with furnishing, and has a basketball hoop in the corner of the parking lot... great, creative amenities. The design of the space is excellent - more lofty than most such spaces in town. Especially great, the floors are polished, polyurethaned concrete, brick walls exposed, ceilings full (high) heights, with exposed ductwork, and the windows are new and energy efficient but attractive and open. And the roof is available for residents to enjoy for sunbathing and the view... and to see this is only a beginning. David also owns a sprawling old warehouse building next to the loft building, which he is converting into more artist space, and he is now developing the old Meyers Dairy, across the street from the Hyacinth, into arts space focused on the needs of dancers, including special flooring with extra give. Because of David's vision, this dramatic neighborhood has a new life and the potential to become a desirable area for young families and professionals to settle in. Within the next few years, RTA is expected to move the E.55th street rapid stop to the Hyacinth side of 55th (from the current dismal site by the train-barn), which will really make this a progressive Public Transit Oriented neighborhood with similar dynamics as Ohio City (although they still need some restaurants, coffee shops, galleries and other retail, pioneers). And it all began with David Perkowski. I think it is awesome the New York Times recognizes his vision and great accomplishment... and that Lisa Chamberlain remembers her roots and sees greatness from afar, when few in our own town get it here. Submitted by GeorgeNemeth on Mon, 09/11/2006 - 10:14.
for linking this @ BFD, Norm. These pics are great! Submitted by lmcshane on Thu, 09/14/2006 - 10:43. Submitted by Sudhir Kade on Thu, 09/14/2006 - 11:58. This is a really inspirational story - the type of stuff our LOCAL media should be covering. Thanks to the blogsphere, and REALNEO, it has been. These are the stories that need to be captured, shared, told to inspire the currently-unconscious (or perhaps misdirected), to see true civic change agency in action. COSE has recently launched a program to help support artists (after they pay a few hundred dollars to join, that is) but this kind of grassroots effort is what really makes waves - and moves us in the right direction. Its great to see people with means and vision doing this sort of work. Thanks Susan and Norm for sharing. Let's create a whole archive of these photo-journaled stories of regional change agents.. these are the true champions of sustainability. Submitted by Norm Roulet on Sat, 09/30/2006 - 10:26. It was great to see in the PD today another strong article praising local progressive real estate developer David Perkowski, and journalist Carolyn Jack digging a bit deeper into real vision of dong things right for the arts in NEO. I believe there are quite a few real estate and new economy developers like Perkowski in town and they are the ones who deserve our community's loyalty, appreciation, economic support and praise! Read more about David and his vision linked to the PD here. Fight Melting Oceans From The Comfort of Your Own Home While Raising Bait!! 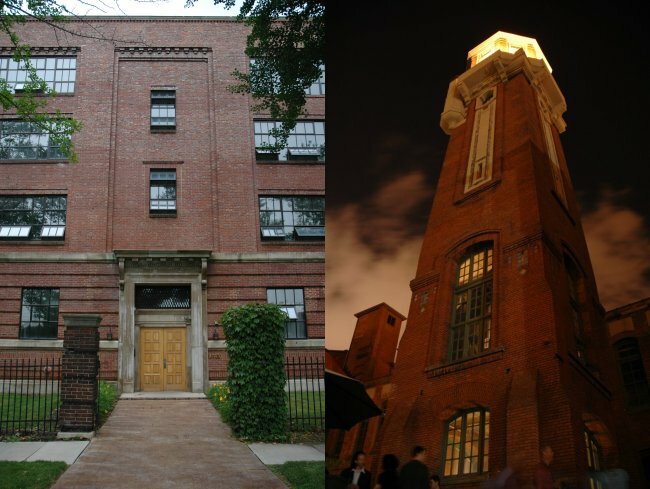 What's the future of the old Cleveland Psychiatric Institute?